The field used in Knights Of Madness, for the George and the Dragon event. Frank Williams, again at the Knights Of Madness location. 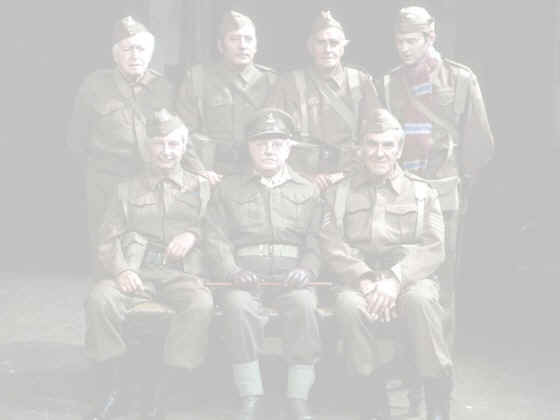 This track was used for the scene where Captain Mainwaring was chased by the dog with the hand grenade in the episode Fallen Idol. This is Elvedon Hall, used in the episode Battle Of The Giants for the famous finale scenes. 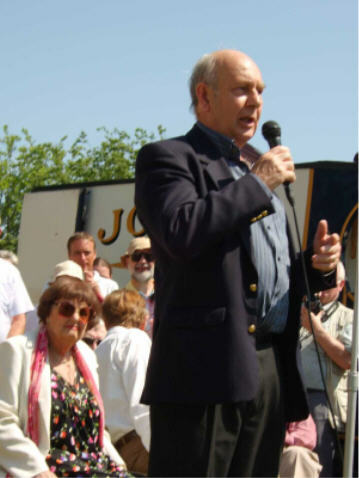 Frank Williams, again at Elvedon Hall. 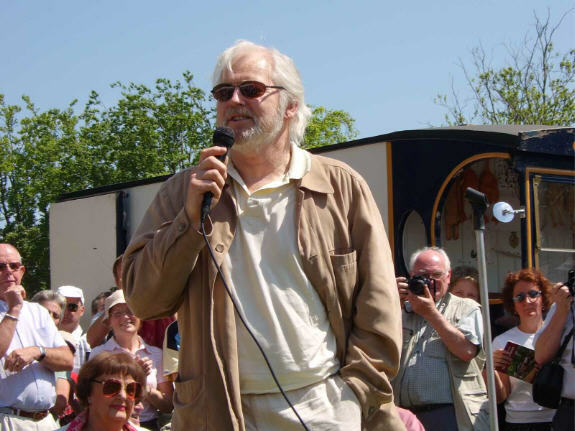 Ian Lavender makes an appearence at the main Bressingham event on Sun 11th May 2008, you can see Pamela Cundell just to the left of the picture. 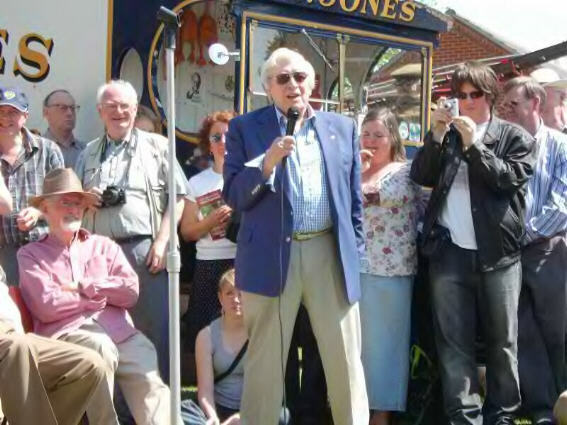 Jimmy Perry addresses the crowd at Bressingham, with It Ain't Half Hot Mum star John Clegg (in Pink shirt) to the left of the picture. Harold Snoad speaks to the crowd, again with Pamela Cundell in the background. 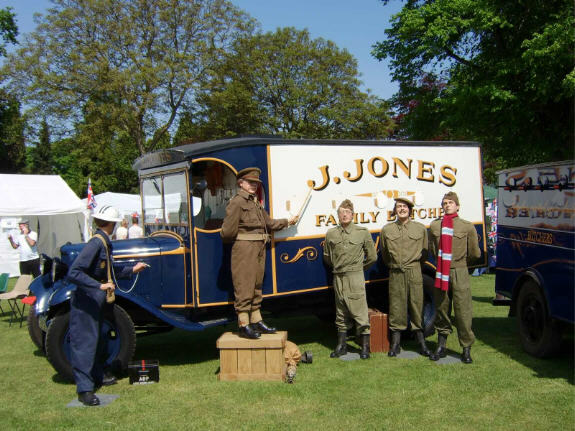 Some familiar characters appear alongside Jones's Butchers Van. 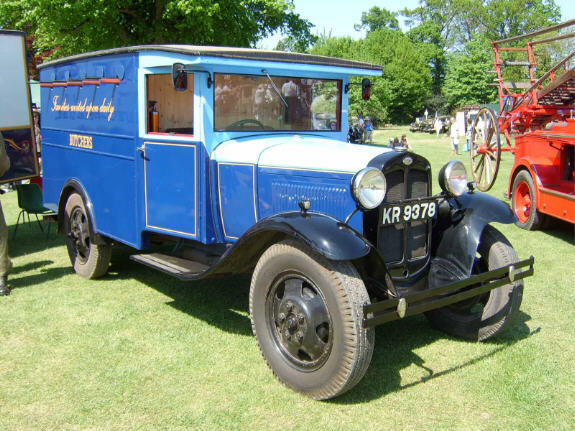 A completely restored Jones's van which was used in the film version of Dad's Army.